This unit combines roll lifting device and upender in one machine. Change the direction of reel while descending from second floor to first floor. When reach the first floor, the rolls travel out through slat Conveyor. The standing rolls are convenient for the clamp truck handling. Packing efficiency: 60 times/hour. Looking for ideal Roll Upender Elevator Manufacturer & supplier ? We have a wide selection at great prices to help you get creative. 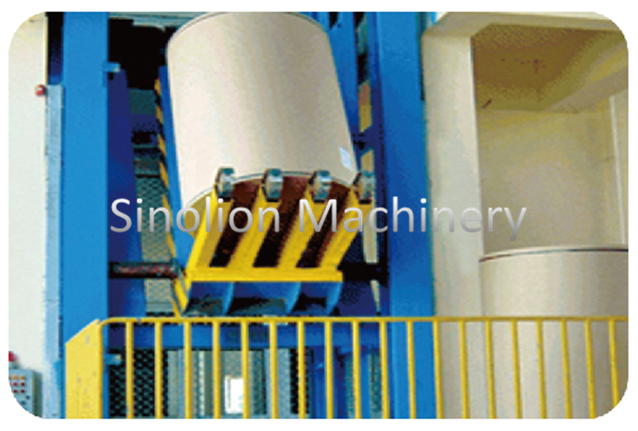 All the Paper Roll Upender Elevator are quality guaranteed. We are China Origin Factory of Auto Paper Roll Upender Elevator. If you have any question, please feel free to contact us.